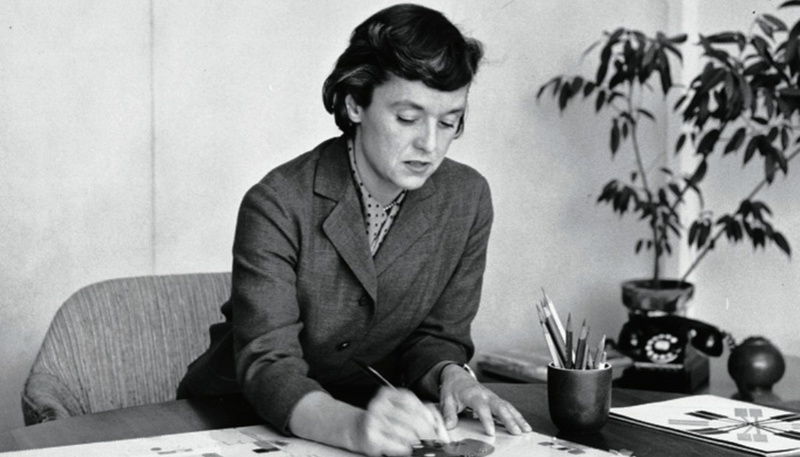 Florence Knoll Bassett, design pioneer and the ‘guiding light’ of Knoll, sadly passed away on January 25th 2019 at the age of 101. Her designs for Knoll have been a key part of the Heal’s offering for many years and her influence on the brand’s direction is undeniable. In our latest blog we take a look back at the modernist designer’s life and career. 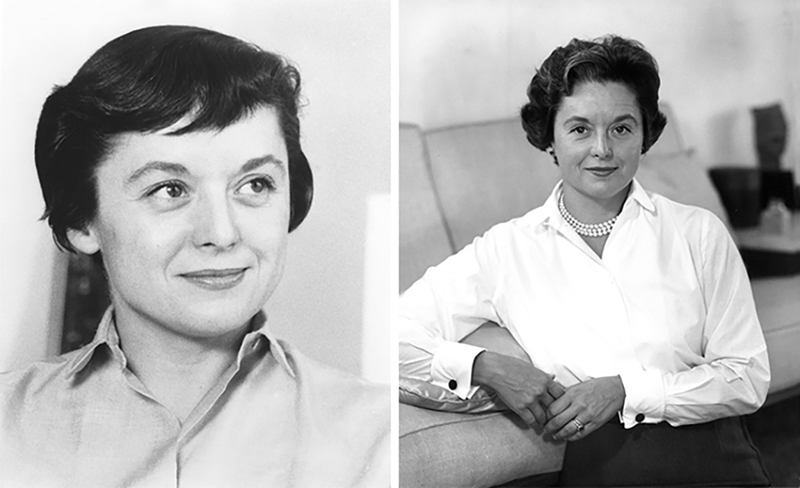 Florence Knoll Bassett is widely regarded to have ‘furnished corporate America’ and played a major role in forging the US mid-century modern aesthetic. Her work still feels current and her groundbreaking approach to “total design” contributes to the interior design principles of today. Known throughout her life by her friends as “Shu,” Florence was born in Michigan in 1917. Having tragically been orphaned at the age of just 12, she decided to attend Kingswood Boarding School for Girls, a decision that would prove pivotal to her future career as a designer. It was here that she developed a keen interest in architecture. The school itself was designed by Finnish architect Eliel Saarinen, who was quick to recognise Florence’s design capabilities. She became an extended part of the Saarinen family and formed a close friendship with Eero Saarinen who would later to go on to design a collection of ground-breaking furniture for Knoll. Over the following years, she went on to study at Cranbrook Academy of Art, Columbia University’s school of architecture and the Architectural Association in London before finishing her degree in architecture at The Armour Institute of Technology. Throughout her travels she built friendships with some of the world’s leading architects, including Alvar Aalto, Marcel Breuer, Walter Gropius and Ludwig Mies van der Rohe. These early mentors, particularly Mies, and her exposure to these Bauhaus masters largely influenced her future work for Knoll. In 1941, she moved to New York City with the aim to become an architect. It was here she met Hans Knoll, the third generation of a Stuttgart-based furniture manufacturing family who was beginning to bring European Modernism to a new audience. Florence was working for a design firm that was employed by Hans to drum up business for a new chair. However, Florence’s keen eye for design and connections to talented creatives meant it wasn’t long before she was taking on more responsibility at the business. Before long, the two were business partners, and went on to marry in 1946. 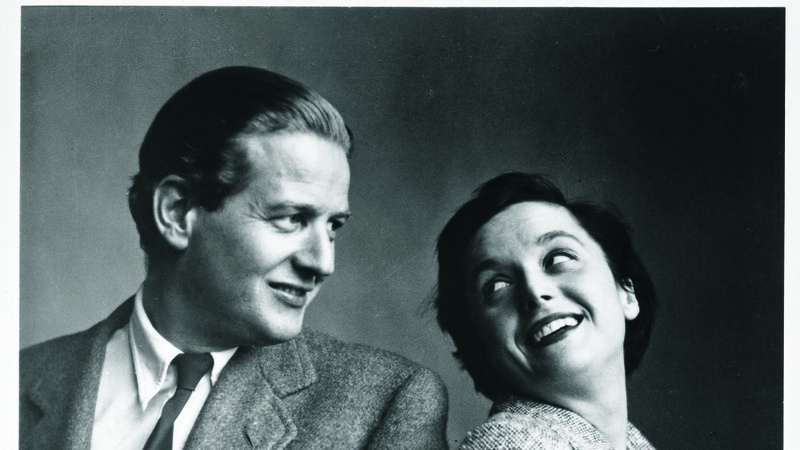 Florence was instrumental in Knoll’s aesthetic development and was not only a talented designer but also a natural businesswoman. She conceptualised some of the brand’s most classic designs and also was able to identify key gaps in the market that Knoll was able to capitalise on. She established the Knoll Planning Unit, the business’ interior design service, which went on to set the standard for the mid-century modern interior. It aimed to assess a client’s needs and patterns of use in order to shape a space, not just to decorate it. This “total design” approach was entirely unique and is widely recognised as ground-breaking. When it came to designing itself, Florence was able to blend the functional values of the Bauhaus movement with her own understanding of modernism. Her table designs for Knoll were oval rather than rectangular, allowing people to interact more freely at a meeting. Sadly, tragedy struck Florence for a second time in 1955 when her husband was killed in a car accident. She was left as the sole owner of the business and continued to carry out her pioneering work until 1959 when she sold the company to Art Metal Construction Company. She remained as Knoll’s design director before retiring in 1965. Even after its sale, Knoll continued to be inspired by her approach to design and rigorous standards. 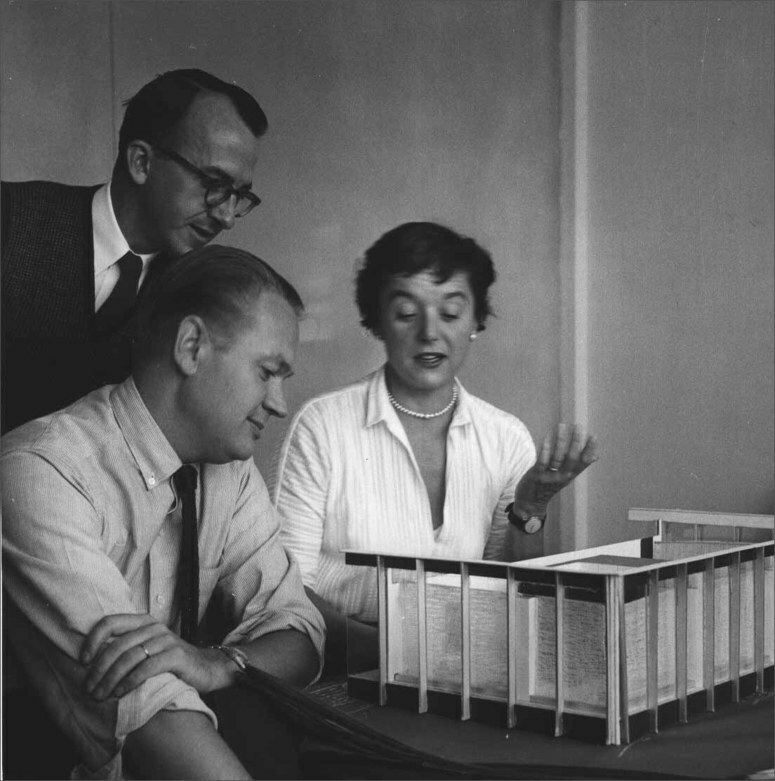 Drawing upon her rich background and natural talent for architecture and design, Florence Knoll Bassett was able to distinguish herself as an influential woman in a male-dominated industry. She will forever remain an icon and pioneer of the design world. And ultimately, the soul of Knoll. This entry was posted in Behind The Design, From The Archives. Bookmark the permalink.